Why application and desktop virtualization? The applications that are useful to virtualize are those that support your cooperation with customers and suppliers (CRM systems), applications to track financial situation and resources use (ERP applications) and applications where you track realization of your production (BI Applications). This could improve the implementation of your key processes and organizations leaders has all the indicators and information always available. Which means that it can be a quickly and efficient response to market changes. The doctor can review the test results and results in digital form via mobile devices right from a patient bed. Virtualization of ERP (Enterprise Resource Planing), which usually operate only on the Windows platform, allows us to use them on any modern gadget. Now company performance can be monitored on the tablet with preinstalled program Pantheon. Even larger investments can be monitored on the go. To the project management system and analysis projects XPERT which can be accessed at a construction location. By virtualizing key applications, we can make our processes easier, both in the business and technological perspective. Controlled and secure access to applications in secure server systems and higher security due to the centralized security and data archiving. Quick and easy to install upgrades and new applications. 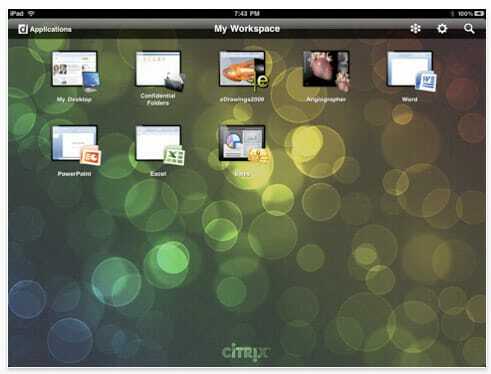 Use anywhere with any device – smartphone, tablet, notebook or desktop computer. Lower costs of management and support. Ease enables higher productivity and more efficient use of resources.